What the reader learns about Gollum by the end of The Council of Elrond comes in two parallel phases at the beginning of Books One and Two. In each book a scene in which we may infer much about Gollum from the behavior of Bilbo and Frodo precedes the more open and direct telling of a tale about him within the larger Tale. In A Long-Expected Party possession of the Ring leads to a tense moment between Gandalf and Bilbo (FR 1.i.33-36), which is balanced by one between Bilbo and Frodo in Many Meetings (2.i.232). Likewise the story Gandalf tells in The Shadow of the Past (1.ii.52-60) finds its counterpoise in the stories of Aragorn and Legolas in The Council of Elrond (2.ii.253-256). In the first instance the two scenes suggest a dark and dangerous character for Gollum; in the second the two scenes establish that character by accounts of his actions. Both times the subject of Gollum vanishes from the narrative as soon as the tale within the Tale is done. As the road climbed upwards' Frodo's spirits rose a little; but he still felt oppressed, and still at times he heard, or thought he heard, away behind the Company and beyond the fall and patter of their feet, a following footstep that was not an echo. It is a wonderful evocation of the darkness and mystery of Moria, playing what the character and the reader do not yet know off against what the narrator will not yet reveal, as well as of the fear of an unknown and unseen pursuer. Gollum becomes one of those elusive secrets that he himself had once wished to discover beneath the mountains (FR i.ii.54). Nothing else may be told at this point. On a first reading we cannot know that the pursuer is Gollum, thought we can reasonably guess that he is no friend to the Company. His watch was nearly over, when, far off where he guessed that the western archway stood, he fancied that he could see two pale points of light, almost like luminous eyes. He started. His head had nodded. 'I must have nearly fallen asleep on guard,' he thought. 'I was on the edge of a dream.' He stood up and rubbed his eyes, and remained standing, peering into the dark, until he was relieved by Legolas. When he lay down he quickly went to sleep, but it seemed to him that the dream went on: he heard whispers, and saw the two pale points of light approaching, slowly. He woke and found that the others were speaking softly near him, and that a dim light was falling on his face. 'Not even the imagined echo of a footfall' supplies an obvious link to the other two passages, but leans more on the character's belief that he may have been imagining things than on the narrator's surety that he was not. '[G]uessed' and 'fancied' pick up on this in turn, and lead straight to Frodo's conclusion that what he thought he saw was not real. Then, from thinking himself 'on the edge of a dream' while on watch, he seems to move into an actual dream once Legolas takes his place. Even without the feeling of dread that had already come over Frodo, it would be hard to describe this dream as anything but a nightmare. It is reminiscent of the dreams Merry and Pippin had in Bombadil's house (FR 1.vii.127-28), and of the parts of Frodo's dreams at Crickhollow and at Bombadil's that touch upon the Black Riders (FR 1.v.108; vii.127). But Frodo's dreams are often more than merely dreams, as his vision of Gandalf has already revealed (FR 1.vii.127; 2.ii.261). Something is in fact 'approaching, slowly' – note the emphatic comma, of horror – and only Frodo seems at all aware of it. Yet even now the smoothness with which Frodo slips from waking into dreaming and back again casts doubt on the sounds he has heard. Are the whispers in his dream actually the voices of his friends talking to each other while he sleeps? Are they Gollum? Or just a bad dream? For now, however, these questions remain unanswered because the tale once again leaves Gollum behind, as more urgent and imminent dangers threaten the Fellowship. 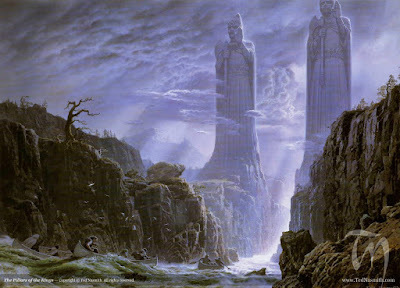 The day to which Frodo awakes swiftly leads the companions to the Chamber of Mazarbul, to the Bridge of Khazad-Dûm, and the woods of Lothlórien: Frodo and Sam are injured in an attack by Orcs; a Balrog comes; Gandalf falls; and strife briefly flares between Aragorn and Boromir over entering the enchanted wood (2.iv.318-vi.338). Yet just when they have found refuge with the elves and the danger seems to have passed them by – quite literally, the Orcs having pursued them from Moria – the echo that was not an echo, the dream that was not a dream, emerges from the renewed darkness and silence. There were no more sounds. Even the leaves were silent, and the very falls seemed to be hushed. Frodo sat and shivered in his wraps. He was thankful that they had not been caught on the ground; but he felt that the trees offered little protection, except concealment. Orcs were as keen as hounds on a scent, it was said, but they could also climb. He drew out Sting: it flashed and glittered like a blue flame and then slowly faded again and grew dull. In spite of the fading of his sword the feeling of immediate danger did not leave Frodo, rather it grew stronger. He got up and crawled to the opening and peered down. He was almost certain that he could hear stealthy movements at the tree's foot far below. Here again, as in Moria, the silence is profound, and certainty elusive. But doubts about the existence of a pursuer, who here follows in the wake of the Orcs just as in Moria he had preceded them, soon vanish. Whoever the pursuer may be, he is no longer ‘far off,’ but right at hand ‘scrabbling,’ ‘sniffing,’ ‘climbing,’ and ‘hissing.’ As before, he is approaching ‘slowly.’ Only now the ‘two pale points of light’ seen in Moria are not ‘almost like luminous eyes’ (emphasis mine). They are eyes; Frodo has no doubt. With the report of Haldir, we receive not only a confirmation that Frodo was not dreaming in Moria (at least not at first), but also a suggestion that the figure tracking the company was something like a hobbit, which harmonizes with Gandalf’s assertion back in The Shadow of the Past that Gollum was of hobbit kind, a claim that Frodo had rejected as ‘an abominable notion’ (FR 1.ii.54). One wonders how to read these last details. Frodo would have known better than anyone that Gollum had pale luminous eyes. Not only had he seen Bilbo’s account of his adventures in his book, but he had likely heard Bilbo tell it multiple times, always at length no doubt, most recently at the Council of Elrond (FR 1.v.105; 2.ii.249: ‘at full length’; Hobbit 82, 88, 93-97). Nor is there any sign that Haldir’s innocent comparison of Gollum to a hobbit provoked any reaction in Frodo. With this information Frodo the character should have been able to recognize Gollum. Yet Frodo, both as character and narrator, remains silent, which places the emphasis of this moment on what we can see of the pursuer, who comes close on the heels of the Orcs, who can climb as they do, who has eyes that glow in the darkness, who sniffs after his prey like a Black Rider (FR 1.iii.75-76), and who now comes closer than ever before: to Frodo he seems even more dangerous than the Orcs themselves. He’s seen by the Elves again the following day, apparently in company with the Orcs or close by them when they are destroyed. Then he is gone again, for the entire duration of their month’s stay in Lothlórien. Not until the companions have been on the Anduin for four days does he reappear, in two consecutive scenes, each of which we will consider in turn. 'That I won't,' said Sam. ''Twas the eyes as made me sit up, so to speak. I saw what I took to be a log floating along in the half-light behind Gimli's boat; but I didn't give much heed to it. Then it seemed as if the log was slowly catching us up. And that was peculiar, as you might say, seeing as we were all floating on the stream together. Just then I saw the eyes: two pale sort of points, shiny-like, on a hump at the near end of the log. What's more, it wasn't a log, for it had paddle-feet, like a swan's almost, only they seemed bigger, and kept dipping in and out of the water. 'That's when I sat right up and rubbed my eyes, meaning to give a shout, if it was still there when I had rubbed the drowse out of my head. For the whatever-it-was was coming along fast now and getting close behind Gimli. But whether those two lamps spotted me moving and staring, or whether I came to my senses, I don't know. When I looked again, it wasn't there. Yet I think I caught a glimpse with the tail of-my eye, as the saying is, of something dark shooting under the shadow of the bank. I couldn't see no more eyes though. 'I should make nothing of it but a log and the dusk and sleep in your eyes Sam,' said Frodo, 'if this was the first time that those eyes had been seen. But it isn't. I saw them away back north before we reached Lorien. And I saw a strange creature with eyes climbing to the flet that night. Haldir saw it too. And do you remember the report of the Elves that went after the orc-band? This scene brings back three elements we’ve seen before: uncertainty about whether the shadowy figure is a dream or real; luminous, lamplike eyes; and the narrowing of the gap between pursuer and pursued. 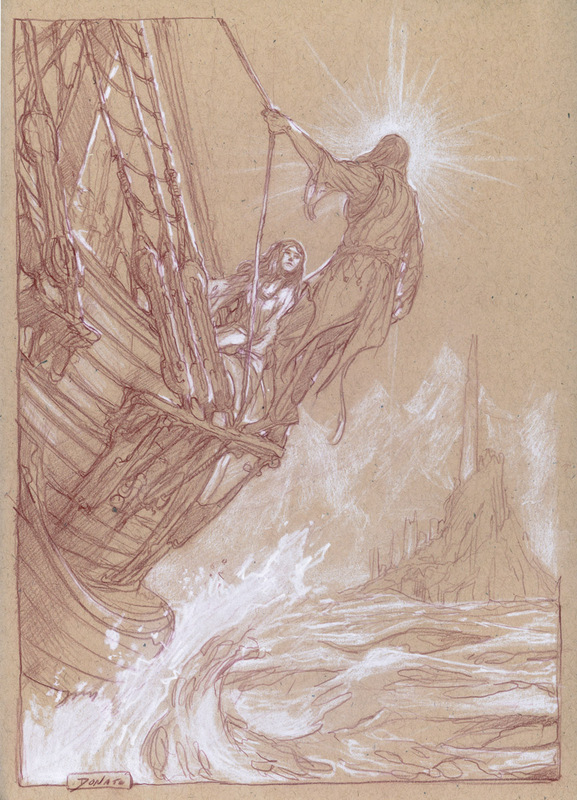 Only now the approach of the pursuer is not ever slow and ever stealthy as it was in Moria or Lothlórien (FR 2.iv.318; vi.345), but is marked by increasing speed. Gollum is not just keeping pace with them, or coming closer while they are stopped. He is overtaking them, ‘coming along fast now,’ up behind an armed party with four warriors, including Aragorn, who had not been ‘gentle’ to him the last time they had met. Here is the measure of Gollum’s desire for the Ring, and consequently of the threat he poses, that he would risk so much to come close to his Precious when he could have no present hope of regaining it. Now Frodo and Sam’s conversation about Gollum is also quite intriguing. Sam, presented with much the same evidence that Frodo had possessed, quickly concludes that he has seen Gollum and hesitates only momentarily to name him. Frodo at once agrees, revealing that he had ‘feared’ Gollum was on their trail since their first night in Lórien. So Frodo did not fail to identify Gollum, but rather to name him. 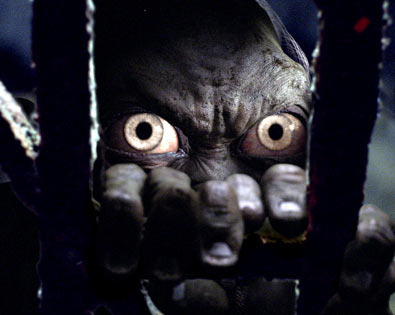 This initial refusal to name Gollum, especially after Haldir’s reminder that Gollum is a hobbit-like creature, is a quieter echo of the vehemence with which Frodo scorned Gandalf’s suggestion that Gollum was of hobbit kind, that what had befallen him could have befallen others hobbits he had known, and that he was a miserable creature who should be pitied (FR 1.ii.54-55, 59-60). Without a name, Gollum remains a thing, a creature, a shadow, eyes glowing in the darkness; as an uncertainty he may be frightening, but he is also not quite real. Once Sam speaks up, Gollum can no longer be just a bad dream. He becomes a very real threat that Frodo must confront and cannot deny, as the next scene shows. 'Ah!' said Aragorn. 'So you know about our little footpad, do you? He padded after us all through Moria and right down to Nimrodel. Since we took to boats, he has been lying on a log and paddling with hands and feet. I have tried to catch him once or twice at night; but he is slier than a fox, and as slippery as a fish. I hoped the river-voyage would beat him, but he is too clever a waterman. The night passed without Gollum showing so much as a shadow again. After that the Company kept a sharp look-out, but they saw no more of Gollum while the voyage lasted. If he was still following, he was very wary and cunning. Once again we begin with Frodo struggling on the margins of sleep, between the ‘deep, dark sleep’ from which Sam wakes him and the ‘dark shape, hardly visible’ of Gollum approaching. Suddenly, however, the verbs become more active and forceful. Gollum’s hand ‘shot out and grabbed’; his eyes ‘shone’ and ‘peered.’ He and Frodo are but a few feet apart, looking straight at each other. The threat has never been greater, and Frodo draws his sword. As with Sam’s naming Gollum, a threshold is crossed when Gollum comes close enough for his eyes to meet Frodo’s. In the first place Frodo is compelled to admit what he must have known; in the second he is compelled to take action against the threat. It is no surprise after this that Frodo, when asked by Strider why he has drawn his sword, tells him straight out. The surprise – which is of course of the head-shaking, chagrined, no-surprise-at-all kind – is that Aragorn knew Gollum was there all along. Now if we had only one scene in which either Sam or Aragorn had revealed that he knew about Gollum, I would not find that suggestive. But we have two such scenes in succession, involving the two members of the Company whom Frodo trusts and relies upon most now that Gandalf is gone. In a way that will become entirely clear by the end of the next chapter, The Breaking of the Fellowship, Frodo is isolated and alone because of the Ring, much like Gollum who pursues him like some shadow self from a fairy tale. We have seen previously in A Long-Expected Party, The Shadow of the Past, and Many Meetings how the Ring undermines friendship, love, and honesty even in a good person; and even before learning the truth about the Ring, Frodo had come to spend a worrisome amount of time alone. As we have also seen, moreover, Gollum’s ‘longing for the Ring’ and his desire for revenge on the thief who stole his precious draws him to Frodo (FR 1.ii.57-59). So the Ring drives Frodo away from others, just as it brings him and Gollum together. Aragorn’s last words on Gollum in this scene also merit our scrutiny: ‘Quite apart from murder by night on his own account, he may put any enemy that is about on our track.’ Not only do they exemplify the danger Gollum poses, but they suggest an erratic and irrational enemy who can veer between contradictory extremes. For, knowing how much Sauron wants the Ring back, the last thing Gollum should do is tell the enemy where the Company is. Yet the link between him and the enemy has been established since The Shadow of the Past (FR 1.ii.59); Orcs rescued him from the Elves (FR 2.ii.255-56); and he and the Orcs have never been far from each other since Moria. Indeed from this point on cooperation between Gollum and the Orcs is openly assumed. When Aragorn notices several days later that the birds along the River seem strangely disturbed, he ‘wonder[s] if Gollum had been doing some mischief and the news of their voyage was now moving in the wilderness’ (FR 2.ix.385). Later that night Orcs do attack the Company, and Sam has no doubt it is ‘Gollum’s doing’ (FR 2.ix.386). On the night the before the Fellowship is broken, though Gollum has ‘remained unseen and unheard,’ Aragorn ‘nonetheless’ is ‘uneasy’ and cannot sleep: sure enough, Sting reveals that Orcs are nearby (FR 2.x.395). ‘Nonetheless’ dismisses Gollum’s seeming absence as irrelevant. The connection between him and the Orcs remains relevant. And the next day Aragorn states plainly and prudently that ‘we must fear that the secret of our journey is already betrayed’ (FR 2.x.402). Everything tends to confirm his earlier assertion that Gollum is ‘very dangerous’ (FR 2.ix.384). Nothing could demonstrate more clearly that Grishnákh knows precisely who Gollum is, and has therefore very likely been in contact with him. The Orc had only recently crossed the river and was likely among the Orcs who were present when Legolas shot the Nazgûl from the sky (FR 2.ix.386-87; TT 3.iii.446-47, 451-52). All of what Aragorn said and feared about Gollum appears to be true. The passages I’ve considered in this study differ from those in A Long-expected Party, The Shadow of the Past, and Many Meetings/The Council of Elrond in one very important way. There, Gollum is always part of someone else’s tale – that of Bilbo, Gandalf, Aragorn, and Legolas, but not of Frodo – and the possibility that he might enter his tale is never more than hinted at. In The Shadow of the Past, for example, Frodo is not yet prepared to accept that ‘we’re in the same tale still’ (TT 4.viii.712), and he resists Gandalf’s attempt to persuade him otherwise almost as vehemently as Bilbo had resisted Gandalf’s attempt to make him let go of the Ring. Here, Gollum, complete with all the unsavory and dangerous characteristics previously laid before us, is on the point of entering Frodo’s tale whether he wishes him to or not. He comes shrouded in darkness and shadow, echoes and dreams, passing from the underworld of a long dead and demon-haunted civilization to the borders of an enchanted realm, Lothlórien, the dream-flower, where ‘the ancient things lived on in the waking world’ (FR 2.vi.349). So he approaches Frodo like some dream, or more properly, some nightmare out of the past, which Frodo seems reluctant to admit is real. It is only when Sam confirms his reality, only when Gollum’s hand seizes some tangible, undeniable part of Frodo’s world (FR 2.ix.384), that Frodo has no choice but to confront his existence and respond properly to the threat, by drawing his sword and telling Aragorn. That Strider has known all along, and is grimly amused – ‘Ah…. So you know about our little footpad, do you?’ (FR 2.ix.384) – reveals Frodo’s denial as much as Aragorn’s watchfulness. So in the final scenes before Gollum at last enters the narrative in The Taming of Sméagol we see him repeatedly portrayed as a dream or a nightmare, a portrayal which seems to mirror the reluctance of Frodo to accept him as part of his tale. But Gollum’s own increasingly close and bold pursuit of the Ring, when added to Sam and Strider’s clearer assessments of the dangers Gollum poses, compel Frodo to face Gollum more like the threat that he is than a nightmare one is trying to shake off. The next time Gollum comes this close to Frodo, about ten days later, all of that danger will be in play, and Frodo, drawing his sword once more, will at last have the chance to take the step he once wished Bilbo had taken on Gollum: ‘What a pity Bilbo did not stab that vile creature, when he had a chance!’ (FR 1.ii.59). Yet in those ten days Frodo will experience two events that will allow him to see Gollum differently. For Frodo the character the source of the footsteps is at this point an unknown, though he will soon enough guess who it is (FR 2.ix.383-84). Frodo the narrator of course knows well that this is Gollum. The certainty that the footsteps are not imaginary is far more the narrator’s than the character’s. This will soon change, however. In her too brief study, Dream Visions in J.R.R. 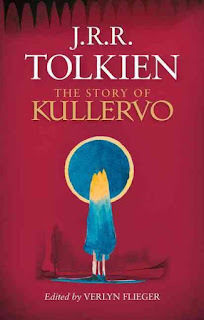 Tolkien’s The Lord of the Rings (Tolkien Studies, 3  49), Amy M. Amendt-Raduege cites the use of the word ‘snuffling’ in the Crickhollow dream and later of Gollum (TT 4.i.604, 613; vi.688), to support the assertion that Frodo is here dreaming, prophetically, about Gollum. She ignores, however, that Frodo is dreaming about "creatures" not a "creature," plus, as we all know, Frodo knows there are at least two Black Riders pursuing him by the time he reaches Crickhollow, one of whom seems to rely rather noticeably on his sense of smell (FR 1.iii.75, 76, 78; iv.87). Frodo's next dream, moreover, clearly identifies the pursuit he fears as the Black Riders (FR 1.vii.127). So, while it is true that Gollum both sniffs (FR 2.ix.345) and snuffles, it seems far more likely that Frodo is dreaming of the immediate and frightening threat posed by the Black Riders. On ‘creature’ in The Lord of the Rings, where it is used of both Gollum and the Black Riders, see my Again That Vile Creature, with a Special Guest Appearance by Grendel. Note the process of elimination in this passage, going forward but leading nowhere. Frodo knows that the creature is not an Elf. Haldir declares that it is not an orc, but something like a hobbit. ‘A strange creature also had been seen, running with bent back and with hands near the ground, like a beast and yet not of beast-shape. It had eluded capture, and they had not shot it, not knowing whether it was good or ill, and it had vanished down the Silverlode southward’ (FR 2.vi.349-50). Not gentle: FR 2.ii.253. Cf. Gollum’s reaction to the mention of Aragorn’s name by Frodo later on: TT 4.iii.643. On the words ‘thing’ and ‘creature’ in reference to Gollum, see my Two Observations on Gollum's First Appearance at TT 4.i.612-13; That Vile Creature – An Observation Revisited; and Again That Vile Creature, with a Special Guest Appearance by Grendel. Consider not only Frodo’s solitary confrontation with Boromir and his consequent decision to go to Mordor alone, but the feeling within the Company that Frodo should say whether they should go to Mordor or Minas Tirith, stay together or split up. As for the role of shadow, there is of course Hans Christian Andersen’s story, The Shadow, but perhaps more relevant would be George MacDonald’s Phantastes in which Anodos, the hero, is stalked and ultimately imprisoned by his own shadow. Peter Pan’s shadow may also be relevant, since the play was quite popular in Tolkien’s youth and he said of a performance he saw of it in 1910: ‘Indescribable but shall never forget it as long as I live. Wish E[dith] had been with me’, quoted in Carpenter, Tolkien, A Biography (Boston 1977) 47-48. Three examples will suffice: in A Long-Expected Party Bilbo accuses Gandalf of wanting his Ring and threatens him with his sword (1.i.34); in The Shadow of the Past Gandalf tells Frodo how Sméagol murdered his friend, Déagol, to obtain the Ring and was then driven out by his own family (1.ii.52-54); in Many Meetings Frodo momentarily sees Bilbo as a Gollum-like creature after his Ring and wishes to strike him (2.i.232). For further discussion, see the first, second, and third studies in the present series. FR 1.ii.42-42: [Frodo] lived alone, as Bilbo had done; but he had a good many friends…. Frodo went tramping all over the Shire with them; but more often he wandered by himself, and to the amazement of sensible folk he was sometimes seen far from home walking in the hills and woods under the starlight. Merry and Pippin suspected that he visited the Elves at times, as Bilbo had done. Contradictions within Gollum where the Ring is concerned are fundamental, and have been long in evidence: ‘He hated and loved it, as he hated and loved himself’ (FR 1.ii.55). Gollum will later admit to Frodo and Sam that he had in fact spoken to Orcs ‘before he met master,’ but he tries to place it in the context of his travelling far and speaking to ‘many peoples’ (TT ­­4.iii.642). The ancientry (to borrow a term from Faramir) of Khazad-dûm receives stress of course in Gimli’s song about Durin the Deathless (FR 2.iv.315-317). Galadriel’s knowledge of how ‘fair were the many-pillared halls of Khazad-dûm in Elder Days before the fall of mighty kings beneath the stone’ (FR 2.vii.356); and her echo of the song’s words about the fall of Nargothrond and Gondolin makes clear how ancient she and Celeborn, ‘the Lord of the Galadhrim,’ are also (FR 2.vii.357). Gollum and Frodo come face to face on the banks of Anduin on the fourth night out of Lothlórien, which the Company departed on 16 February. Frodo and Sam capture Gollum on the eastern side of the Emyn Muil on 29 February. See Appendix B in RK 1092. Sam did his best, but he could not keep up with Strider the Ranger, and soon fell behind. He had not gone far before Aragorn was out of sight ahead. It is also worth noting in this connection that the next time Aragorn is publicly addressed as Strider, in the scene where he meets Éomer in the fields of Rohan, is also the first time in which Aragorn openly proclaims himself the 'heir of Isildur Elendil's son of Gondor' (TT 3.ii.431-39). Though awed to see 'dreams and legends spring[ing] to life out of the grass', Éomer at once accepts that Aragorn is who he says he is and calls him 'lord' (433-34). Since Aragorn had initially introduced himself to Éomer as Strider (432), and since the narrator points out the surprise of Gimli and Legolas at Aragorn's new declaration (433), we can again see the transition that was first marked by the narrator's ceasing to use 'Strider' when speaking in his own voice. Once again we see Tolkien's exquisite attention to nearly invisible details helping to make possible the act of subcreation. .... Therefore Morgoth came, climbing slowly from his subterranean throne, and the rumour of his feet was like thunder underground. And he issued forth clad in black armour; and he stood before the King like a tower, ironcrowned, and his vast shield, sable on-blazoned, cast a shadow over him like a stormcloud. But Fingolfin gleamed beneath it as a star; for his mail was overlaid with silver, and his blue shield was set with crystals; and he drew his sword Ringil, that glittered like ice. Then Morgoth hurled aloft Grond, the Hammer of the Underworld, and swung it down like a bolt of thunder. 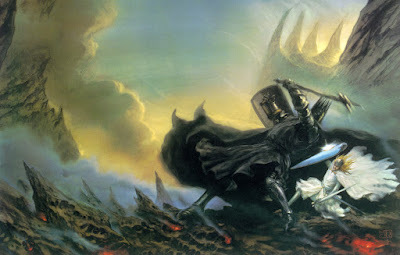 But Fingolfin sprang aside, and Grond rent a mighty pit in the earth, whence smoke and fire darted. Many times Morgoth essayed to smite him, and each time Fingolfin leaped away, as a lightning shoots from under a dark cloud; and he wounded Morgoth with seven wounds, and seven times Morgoth gave a cry of anguish, whereat the hosts of Angband fell upon their faces in dismay, and the cries echoed in the Northlands. But at the last the King grew weary, and Morgoth bore down his shield upon him. Thrice he was crushed to his knees, and thrice arose again and bore up his broken shield and stricken helm. But the earth was all rent and pitted about him, and he stumbled and fell backward before the feet of Morgoth; and Morgoth set his left foot upon his neck, and the weight of it was like a fallen hill. Yet with his last and desperate stroke Fingolfin hewed the foot with Ringil, and the blood gashed forth black and smoking and filled the pits of Grond. Black and unlovely, he had the look of a monster. The word weriges in line 1169, which I have translated 'monster,' comes, not from werig -- 'weary' -- as I thought at first glance, but from wearg/h -- 'a monster, a malignant being, an evil spirit.' In line 1170 I have rendered morþres as 'murder,' but it comes from morþor, which can also be more abstract -- 'mortal sin, great wickedness, torment' etc. 'For I am Saruman the Wise, Saruman Ring-maker, Saruman of Many Colours!" It is at this point of course that Gandalf reveals that Saruman the White has been corrupted, and that whatever skills he possesses have now proven 'crafts' in the wicked sense. When seen later, after his overthrow, he is of course now clothed 'in rags of grey or dirty white' (RK 6.vi.983; viii.1020). Given all this, and Tolkien's undoubted knowledge of the Exeter Book, it may be that we find here at least a part of the reason (aside from the obvious) for why Saruman was white to begin with, and why he failed in the end. Though Tolkien is not much known for irony, this conversation between Gandalf and Saruman may be dripping with it. On Saturday 3 October I had the good fortune to attend the The Mythgard Institute's Midatlantic Speculative Fiction Symposium at the University of Maryland. It was as fine a mixture of work and play as you could want, with never a dull boy to be found. Among other subjects, we spoke of Star Wars, Philip Pullman, Prophecy and Predestination, Lovecraft, Tolkien, The Kalevala, film adaptation, On Fairy-Stories, Twin Peaks, Babylon 5, Ted Chiang, Frank Herbert, and Stephen Sondheim. Discussion was lively, and laughter abundant. In all it was a wonderful time. I had the chance to become better acquainted with several people I had only met briefly before, or only on the web, and to chat for the first time with others I had not known at all. I very much hope that we'll see more meetings like this in the near future. Supporting The Mythgard Institute will help that happen. I was also fortunate enough to present a brief paper, Hobbit Verses Versus Verses by Hobbits: Orality, Poetry, and Literacy in Bilbo's Shire, which I have added below for all who may be interested. I plan to expand it at some point in the future, to discuss some of the material I had to relegate to the footnotes during my talk, the material I mention in my final paragraph, and other hobbit poems, like Sam's Oliphaunt, and Frodo's spontaneous verse, after the fashion of Tom Bombadil, when he first sees Goldberry. But for now, here it is. ‘… my lad Sam will know more about that. He’s in and out of Bag End. Crazy about stories of the old days he is, and he listens to all Mr. Bilbo’s tales. Mr. Bilbo has learned him his letters – meaning no harm, mark you, and I hope no harm will come of it. ‘Elves and Dragons’ I says to him. ‘Cabbages and potatoes are better for me and you. Don’t go getting mixed up in the business of your betters, or you’ll land in trouble too big for you,’ I says to him. Only a few days later Bilbo sent out so many party invitations that both local Post Offices were overwhelmed, and needed volunteers to handle all the replies: ‘There was a constant stream of them going up the Hill, carrying hundreds of polite variations on Thank you, I shall certainly come’ (1.i.26). These few brief quotes suggest that basic literacy in the Shire was quite common, but not universal. Moreover, the Gaffer’s defensiveness and his insistence that gardeners like him and Sam – thus ‘cabbages and potatoes’ – shouldn’t get above themselves, point to a class distinction between those who can read and those who cannot, an impression reinforced by the colloquial illiteracies of his speech – ‘j-oo-ls,’ ‘learned’ as a synonym of ‘taught,’ and ‘says’ as a first person singular. That Sam, unlike his father, has learned to read is a sign of change, as are the children who witness Gandalf’s arrival and seem able to recognize the letter G in at least one and perhaps two writing systems (FR 1.i.25). But there’s reading and there’s reading. Hobbits, we’re told in the Prologue, ‘delighted in such things [as genealogical tables], if they were accurate: they liked to have books filled with things that they already knew, set out fair and square with no contradictions’ (FR 7). Thus, of the many works later composed by Merry, the best remembered in the Shire were his Herblore of the Shire, his Reckoning of the Years, which relates the calendars of Elves and Men to those of hobbits, and his Old Words and Names in the Shire (FR 15). Among hobbits, The Old Farmer’s Almanac would have been a perennial bestseller. The kinds of stories that Sam wants to read are of precisely the sort that hobbit literacy has no time for, stories of Elves and Dragons that take place in the ‘queer’ lands beyond the borders of the Shire which hobbit maps mark only with ‘mostly white spaces’ (FR 1.ii.43). Gil-galad may have been an elven king all right, but his name won’t fetch you a pint at The Ivy Bush. A proper hobbit poem, however, might do just that. But what’s a proper hobbit poem? One type would be songs like Frodo’s The Man in the Moon Stayed up Too Late (FR 1.ix.158-160) or Sam’s The Stone Troll (FR 1.xii.206-208), drinking songs, if you will, that invite their audience to join in a rollicking good time. Another we would find in the songs which speak of life’s simple pleasures, such as long walks, cold beer, hot baths, supper and, of course, bed. Songs of this type share in a common meter, iambic tetrameter, which occurs so often in these poems that we may well call it ‘hobbit meter.’ We can even see elvish poems translated by hobbits – like Gil-galad Was an Elven King and the hymns to Elbereth – rendered in this meter. A particularly noteworthy aspect of this type of hobbit verse is its mutability. We have four versions of The Road Goes Ever On, each of which differs from its predecessor in its adaptation to the occasion. Bilbo’s first version at the end of The Hobbit clearly reflects his hopes, fears, and sorrows as he returns home (313). His shorter, simpler version, sixty years later shows the heart’s ease he feels once free of the Ring (FR 1.i.35), just as Frodo’s alteration of a single word reveals the weight of the burden now upon him (FR 1.iii.73). The final version differs yet again, with more thorough changes in keeping with the end of Bilbo’s Road now being in sight, and Frodo’s just around the bend (RK 6.vi.987). And in the only other poem that we get two versions of in ‘hobbit meter’ – Upon the Hearth the Fire Is Red – there are likewise changes to suit the occasion (FR 1.iii.77-78; RK 6.ix.1028). So we have here a form of poetry with an easily remembered four-beat line, with words that are readily changed to suit their context, and simple rhyme schemes, using couplets (AABB) or alternating lines (ABAB). Even the more rhythmically complex pub songs have mostly four-beat lines, and fairly straightforward rhyme schemes. Both these types of hobbit verse explicitly reuse old tunes, and seem to rely on oral transmission. But there are other verses by hobbits which do not quite fit within these parameters. More meditative and elegiac, they pursue paths that the other hobbit poems can suggest, but do not treat in detail. Bilbo’s I Sit Beside the Fire and Think is the first clear example of this kind of verse (FR 2.iii.278-279). Not only is its subject more somber, but only the even lines always have rhymes. Frodo’s When Evening in the Shire Was Grey is even more directly concerned with death, though it remains traditional in rhyme and meter (FR 2.vii.359-60). But the most significant of all, I would argue, is Sam’s In Western Lands beneath the Sun (RK 6.i.908-09). 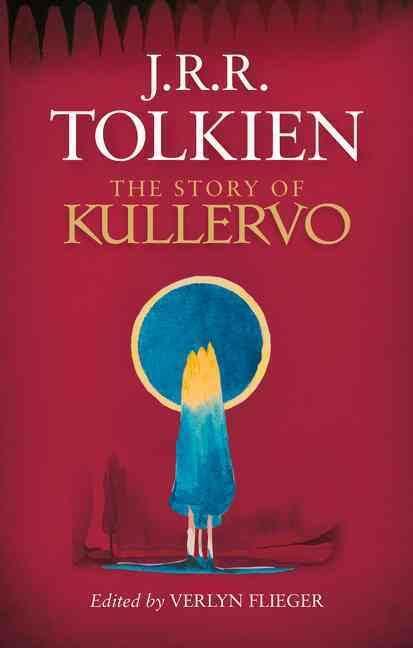 His voice sounded thin and quavering in the cold dark tower: the voice of a forlorn and weary hobbit that no listening orc could possibly mistake for the clear song of an Elven-lord. He murmured old childish tunes out of the Shire, and snatches of Mr. Bilbo's rhymes that came into his mind like fleeting glimpses of the country of his home. And then suddenly new strength rose in him, and his voice rang out, while words of his own came unbidden to fit the simple tune. Finally let us turn to a poem that in both form and substance reaches beyond such stuff as hobbit poems are made on. All That Is Gold Does Not Glitter, with its three-beat lines of irregular length, its nameless because un-nameable meter – iamb, anapest, anapest – and its simultaneous embrace of history, legend, and prophecy, is also the only poem in The Lord of the Rings that is actually presented to the characters in written form. ‘It is not a very hobbity song,’ as Corey Olsen put it. It’s about as far from Sing Hey! For the Bath at Close of Day as we can get. What we see here is Tolkien, with his uncanny heed of the smallest detail, suggesting a slow process across generations and classes, a shift from oral to written and a growth of the literary to extend beyond mere literacy. In this Bilbo, Frodo, and Sam all play their parts. Had we the time, we might also examine Errantry and Eärendil and the poems in The Adventures of Tom Bombadil. And finally we might inquire how Sam’s ‘seed of courage’ had been nourished by poetry and tales of Elves and Dragons while it ‘wait[ed] for some final and desperate danger to make it grow’ (FR 1.viii.140). But that is for another day. In addition, we may see Bilbo’s written notes to those to whom he gave gifts upon his departure. He expects the recipients to be able to read them, and in two cases – Milo Burrows and Dora Baggins – he makes specific references to their literacy: FR 1.i.37. To be fair to the Gaffer, with ‘jools’ he is repeating what another has said, but that tends to reinforce the point about class since it shows more than one hobbit speaking so. Note also his description of Frodo as a ‘gentlehobbit’ and his concern to know whether ‘my Sam had behaved hisself and given satisfaction’ (RK 6.viii.1014). Though the Gaffer says that Sam is keen to listen to tales of Elves and Dragons, his words also clearly establish a link between such tales and Sam’s being taught to read by Bilbo. Sam’s later (mistaken) insistence that Bilbo ‘wrote’ The Fall of Gil-galad also suggests a connection with reading and writing (FR 1.xi.186). In At the Sign of the Prancing Pony Frodo sings his song a second time, ‘while many of [those in the room] joined in; for the tune was well known, and they were quick at picking up words’ (FR 1.ix.160). Note ‘words,’ not ‘the words,’ suggesting that they were good at this in general, as those who rely more on their memory than on writing would be. If there should be any doubt that these two are in fact drinking songs, see HoME VI 142 n. 11, where Christopher Tolkien quotes his father’s outline, referring to the song in The Prancing Pony as precisely that. It is also the case that Bingo (>Frodo) was originally meant to sing The Root of the Boot, an older troll song that evolved into The Stone Troll. All versions of the troll song are sung to the tune of The Fox Went out on a Winter’s Night. Subsequently Bingo was given The Cat and the Fiddle to sing, which again evolved into The Man in the Moon Stayed up Too Late, and the troll song was made over to Sam and moved to its present location. See HoME VII.142-47. ‘They began to hum softly, as hobbits have a way of doing as they walk along, especially when they are drawing near to home at night. With most hobbits it is a supper-song or a bed-song; but these hobbits hummed a walking-song (though not, of course, without any mention of supper and bed). Bilbo Baggins had made the words, to a tune that was as old as the hills, and taught it to Frodo as they walked in the lanes of the Water-valley and talked about Adventure.’ This passage both identifies what ‘most hobbits’ are like and in what ways “our” hobbits are like and unlike them. Consider Pippin’s statement to Denethor (RK 5.iv.807): ‘[I can sing] well enough for my own people. But we have no songs fit for great halls and evil times, lord. We seldom sing of anything more terrible than wind and rain. And most of my songs are about things that make us laugh; or about food and drink, of course.’ Does ‘my’ imply that Pippin makes songs, or only refer to the songs he knows? Note ‘of course’ in both passages, as if this should be obvious to everyone. Cf. Sam whistling on his way home to bed in The Shadow of the Past (FR 1.ii.45). I am indebted here to the discussions in classes 15 and 16 of Corey Olsen’s Mythgard course in Tolkien’s Poetry in the summer of 2015. While Bilbo seems to have consciously translated The Fall of Gil-galad (FR 1.xi.185-86), Frodo’s rendering of his first encounter with the hymn to Elbereth is described rather differently, as a spontaneous understanding produced by the art of elven minstrelsy (FR 1.iii.79): ‘One clear voice rose now above the others. It was singing in the fair elven-tongue, of which Frodo knew only a little, and the others knew nothing. Yet the sound blending with the melody seemed to shape itself in their thought into words which they only partly understood. This was the song as Frodo heard it: Snow-white! Snow-white! O Lady clear….’ See also FR 2.i.233 for a more detailed description of this effect. Between Bilbo’s version in The Hobbit and the versions in The Lord of the Rings there is one other difference that I believe is quite significant, the shift from ‘roads’ to ‘road,’ which signals a degree of abstraction, and reflects the frequent capitalization of Road in The Lord of the Rings. In addition to The Road Goes Ever On and Upon the Hearth the Fire Is Red we have FR 1.iv.90: Ho! Ho! Ho! to the Bottle I Go; 1.v.101: Sing Hey! For the Bath at the Close of Day; 1.v.106: Farewell We Call to Hearth and Hall! ; 1.vi.112: O! Wanderers in the Shadowed Land; 2.iii.273: When Winter First Begins to Bite; 2.vii.360: The Finest Rockets Ever Seen. Sing Hey! For the Bath at the Close of Day is also introduced as ‘one of Bilbo’s favorite bath songs,’ thus revealing the existence of a number of such songs. The Stone Troll has an A-A-B-C-C-A-C rhyme scheme, with four-beat lines that are basically iambic with some anapests and the odd trochee. The fifth line in each stanza is the odd man out. It has only four syllables, but I am unsure whether to take them as two trochees, or two spondees. The Man in the Moon Stayed up Too Late has an A-B-C-C-B rhyme scheme, with the first, third, and fourth lines having four beats, and the second and fifth having three (anapest, iamb, iamb). On these poems see also nn. 5 above and 11 below. Both The Man in the Moon Stayed up Too Late and The Stone Troll are said to be set to old tunes, using new words, as is Upon the Hearth the Fire Is Red. At Bree the tune is familiar to the patrons, who are so ‘good at picking up words’ that they are already singing along the second time through. Bilbo, moreover, taught Frodo the words he had made up for Upon the Hearth while they were out walking in the Shire. With this we may compare the history of Farewell We Call to Hearth and Hall! For since Bilbo kept his book away from prying eyes (FR 1.v.105), the only way Merry and Pippin could have learned the dwarf song (Hobbit 22-23) on which they modelled Farewell We Call to Hearth and Hall! (FR 1.v.106), is by hearing it. So in both cases we have evidence of oral transmission. Both of Bilbo’s road poems open the door to wider reflections, but do not really cross the threshold until their final versions late in The Lord of the Rings (RK 6.vi.987; ix.1028). I believe that one could argue that Bilbo began weaving more distant horizons and larger perspectives Into the songs celebrating the loveliness of the countryside and the simple life. Or perhaps it would be more accurate to say that Bilbo expanded the “genre” to include these things. In class 16 of his class on Tolkien’s Poetry in the summer of 2015 at 1:22.45. The recording is proprietary. The Adventures of Tom Bombadil purports to come from near the time of The Lord of the Rings (29-30). It clearly identifies Errantry as Bilbo’s work (30), and the hand that scrawled the words ‘Frodo’s Dreme’ at the head of The Sea Bell (33-34) must have been familiar with Frodo’s story in some form. ‘When [Frodo] came to himself again, for a moment he could recall nothing except a sense of dread. Then suddenly he knew that he was imprisoned, caught hopelessly; he was in a barrow. A Barrow-wight had taken him, and he was probably already under the dreadful spells of the Barrow-wights about which whispered tales spoke. He dared not move, but lay as he found himself: flat on his back upon a cold stone with his hands on his breast. With this passage on Frodo compare Sam’s famous discussion of the Great Tales with Frodo on the Stairs (TT 4.viii.711-13), his song in the tower (RK 6.i.908-909), his thoughts on the star and the song (RK 6.ii.922, quoted above n. 13), and the seeming death of hope (RK 6.iii.934).